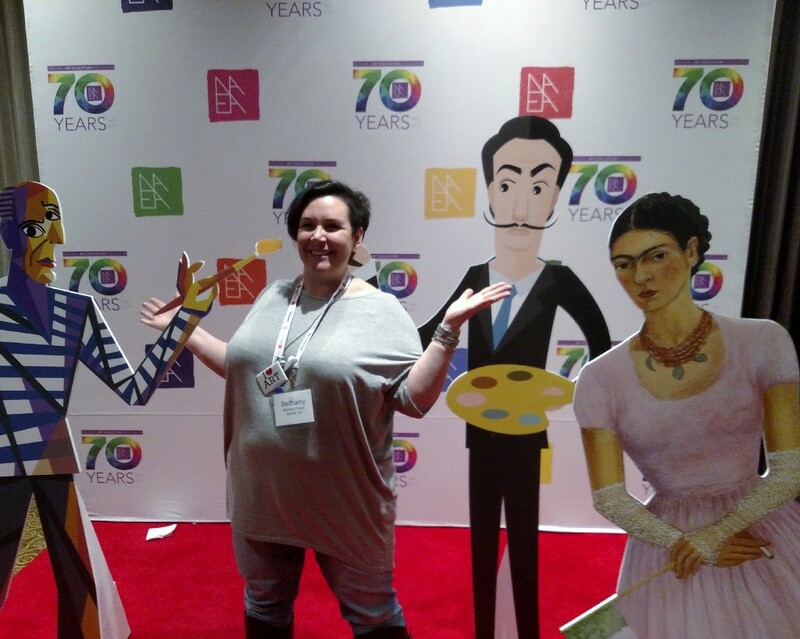 Bunker Hill Middle School art teacher Bethany Franz looks comfortable during her red carpet walk at the NAEA Convention. Washington Township art teachers Bethany Franz, from Bunker Hill Middle School, and Veronica Akhtar, from Chestnut Ridge and Orchard Valley middle schools, were among thousands who descended on the red carpet at the National Art Education Association Convention in New York City from March 2 to March 4. 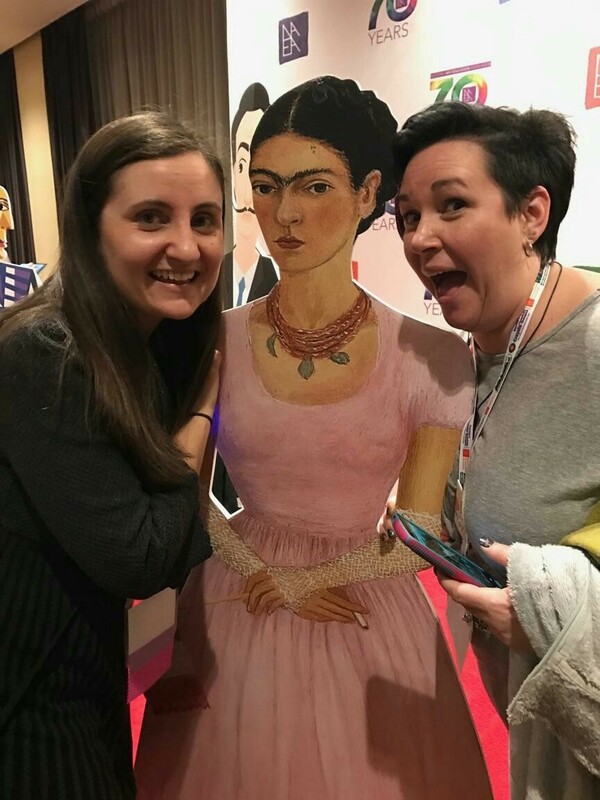 Washington Township art teachers Veronica Akhtar (left) and Bethany Franz pose with life-sized caricatures of famous artists on the red carpet event hosted on the opening night of the National Art Education Association Convention in New York City. In addition to taking their turns as would-be celebrity artists, the pair sampled some of the latest in art products and took in exhibits from hundreds of quality art vendors. They attended hands-on sessions, lectures and STEAM (science, technology, engineering, art and math) demonstrations. The NAEA Convention historically is the largest gathering of visual arts educators in the world.